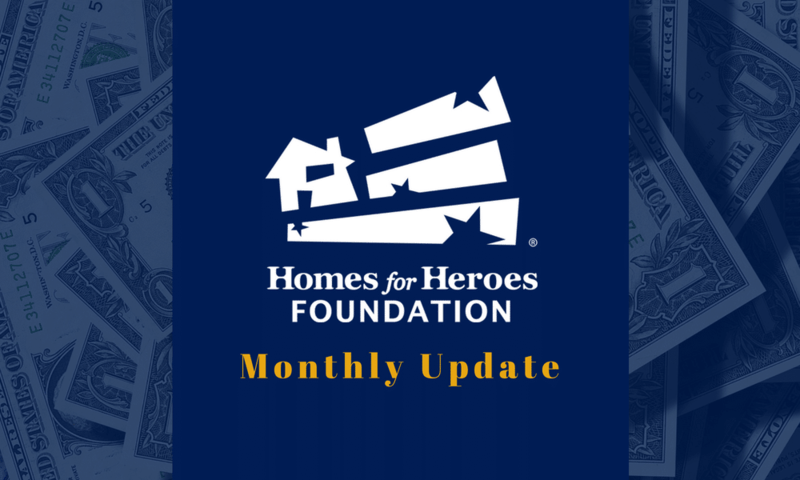 In the month of December, the Homes for Heroes Foundation was able to assist several heroes with their challenging circumstances by providing over $5,400 in grants. Justin Wommack, a California firefighter and military veteran with a family received a $1,300 grant to pay for one month’s rent. A homeless, disabled veteran in Georgia (chose not to share his name), received a $590 grant from the Homes for Heroes Foundation to pay for one month’s rent. Cecily Doomes, a homeless, disabled veteran with children in Georgia received a grant for $1860 to cover her deposit, HUD VASH property and electric bill. Bennie Steward, a homeless, disabled veteran in Georgia received a $750 grant to pay for his deposit, rent and electric bill. Valtron West, a homeless, disabled veteran with a child in Georgia received $970 grant to cover his deposit for a rental unit.